'The California State Fair is pleased to announce the newly expanded and enhanced program, "The Kitchen." The success of this annual culinary program (formerly known as Foodstyle) has afforded the fair the opportunity to relocate it into the California Counties Building, where it will be centrally located among The Farm, Save Mart Supermarkets Wine Garden, and the Craft Brew Pub. The Kitchen will give us more room to expand the program and allow us to continue to showcase California's Agriculture and the bounty our great state produces. The new "Kitchen Theatre" will continue to offer our traditional food judging events, cooking demonstrations, and chef challenges while the programming will showcase the "Farm to Fork" philosophy. Along with the three main cooking stations in the Kitchen Theatre, The Kitchen will also have a new "Do-It-Yourself" space that will offer programs such as "Make Your Own Pickles," "5-Minute Marinades," and many other topics of interest. The Kitchen's exciting exhibits will not only educate fair guests, but will entertain as well. Sacramento Area Beekeepers Association's Kate Morton continues to be instrumental in helping us to educate the public about beekeepers and in staffing the wonderful volunteers that come out to help every year. What’s growing on at The Farm? 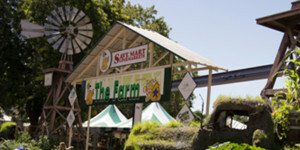 The Save Mart Supermarkets is taking “farm to fork” to the next level this year, relocating next to The Farm presented by Save Mart Supermarket to create a completely immersive experience, not to be missed. 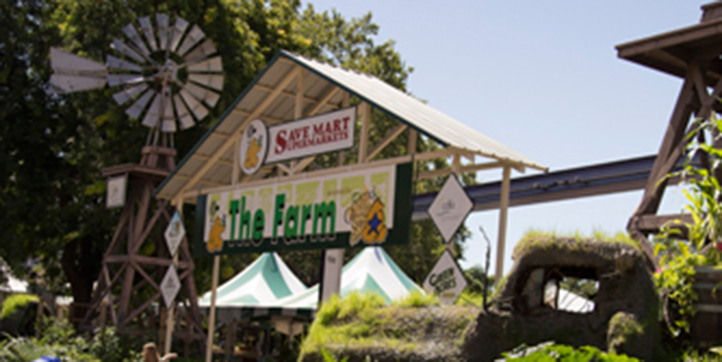 Guests can go to Save Mart's California Kitchen (featuring the SMUD Energy Efficient Kitchen Theatre with Official Partner California Family Fitness) and get a Save Mart Supermarkets recipe passport and learn about more than 70 crops grown in California. Taste local culinary delights prepared by chefs at our outdoor kitchen grill. Don't forget the Commercial Wine Competition, Cheese Competition and Commercial Craft Brew Competition, plus the Winery-of-the-Day partners.